The first episode of The Dragon Prince series on Netflix immediately got my attention and I ended up watching the entire first season with 9 episodes in the next couple of days. Its story, characters, and plot elements really got me wanting for more episodes. Today, I am happy to share with you that Netflix has just released the official trailer for its second season of The Dragon Prince. If there was one complaint that I had to voice out about the season 1, it would be that there was not enough dragons in that The Dragon Prince installment. Well, based on what we can see in the trailer below, it appears that this time we will see more dragons, especially more of the newly hatched one named Zym, and additional characters that we have not seen before. "The nine-episode second season follows Rayla, Callum, and Ezran, as they continue their adventure to Xadia. But the journey won't be easy: every step of the way, they'll be challenged by new foes and old friends alike. They'll struggle with trust and betrayal, face down various dragons, and be tempted by the rule of dark magic, all while protecting the newly-hatched Dragon Prince, Zym." 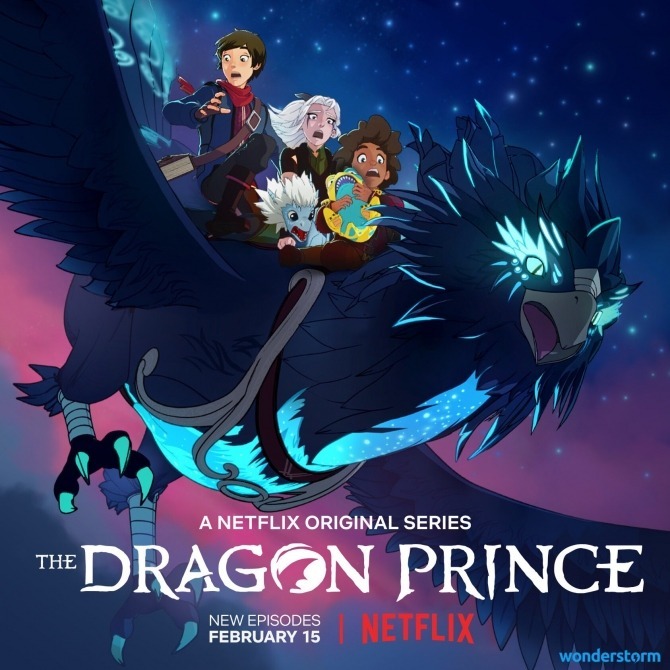 The Dragon Prince Season 2 will be released on Netflix on February 15, 2019.